Milton de Jesus Toncel, a.k.a. “Joaquin Gomez” is a senior FARC politician and the former commander of the group’s Southern Bloc. As chief of the FARC’s Southern Bloc, Gomez was responsible for one of the guerrilla group’s most financially important units, as the Bloc extends its influence over some of the most important coca growing regions in Colombia. He was believed to command some 1,800 guerrilla fighters divided into ten different fronts and three mobile columns in southern Colombia. The rebel commander, whose real name is Milton de Jesus Toncel, is considered a political figurehead and a military leader for the group. 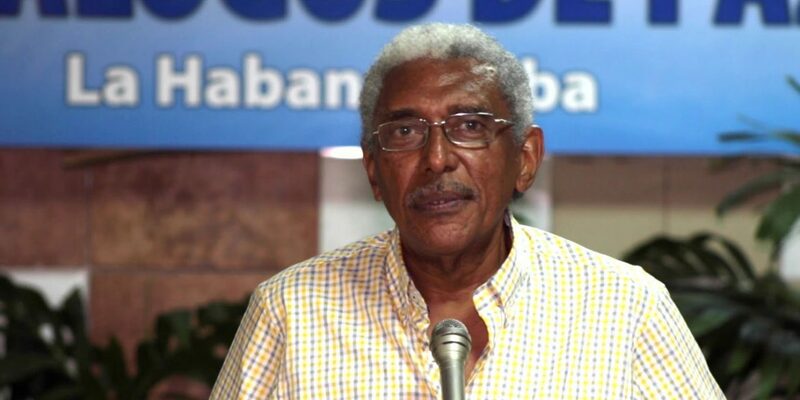 Joaquin Gomez was born in the northern La Guajira department in 1947, where he joined a local branch of the Colombian Communist Party during his teenage years. In 1981 Gomez joined the FARC permanently and disappeared from the public light. His status as an academic and a teacher helped him climb quickly in the ranks of the guerrilla organization. Beginning as the political and military commander of the FARC’s 1st Front, he assumed the command of the organization’s Southern Bloc in 1992, replacing “Mono Jojoy,” who by then had ascended to secretariat member. Gomez’ takeover in 1992 coincided with the Colombian coca boom, which saw the pockets of the FARC swell tenfold as the taxation of coca crops and the production of cocaine became the main source of income for the guerrillas. The Southern Bloc in particular, active as it was in key coca producing regions like Caqueta, Nariño and Putumayo, soon became a financial powerhouse thanks to the money gained from the illegal drug trade. It is estimated that several FARC units of this bloc, such as the 48th Front, avoid combat with the Colombian army in order to concentrate the efforts on the drug trade alone. Under Joaquin Gomez’ leadership, the Southern Bloc grew considerably in size and military capability, helped by the income generated from the cocaine trade, while the commander himself earned the reputation of an “icy, calculating and bloody” military leader with several notable attacks on his resume, such as the taking of the “Las Delicias” army base in 1997, in which 27 Colombian army soldiers were killed and some 60 taken captive. Gomez was chosen by the FARC to serve as the prime negotiator during the 1999-2002 peace talks between FARC and the government of president Andres Pastrana in the town of San Vicente del Caguan. According to Colombian weekly Semana, the FARC commander “cried with disillusion” when the peace talks broke down in 2002. The commander was elevated to the FARC’s seven-man ruling body, the secretariat, after the FARC’s second-in-command, “Raul Reyes,” was killed by the Colombian air force in a cross-border raid into Ecuadorean territory in March 2008. Despite the Colombian military declaring him the “next objective” in January 2012, Gomez has so far remained elusive. According to various military intelligence sources, he moves between the southern departments of Nariño and Putumayo and is believed to have hideouts on the Ecuadorean side of the border, protected by a small contingent of some 30 guerrilla fighters in order to avoid detection. The U.S. State Department claimed that Gomez was “responsible for overseeing the Southern Bloc’s production of thousands of tons of cocaine” and offered a reward of $2,5 million dollars for information leading up to his killing or capture. In December 2014, Gomez joined the peace talks with the government in Cuba, leaving the majority of FARC units without their original commanders. Following the ratification of the peace deal between the FARC and the Colombian government on November 30, 2016, Gomez and most of the FARC guerrillas demobilized and disarmed. They are currently investigated by a war crimes tribunal.